ERA officers clear the site. 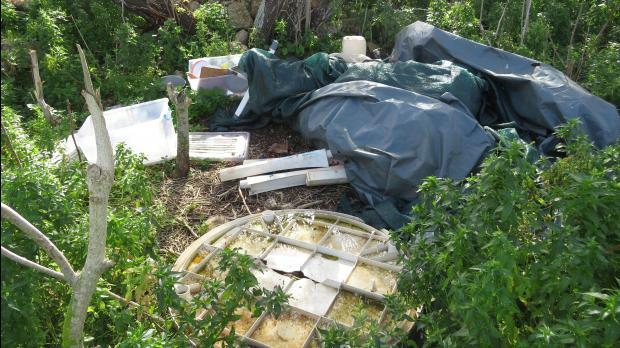 All traces of Comino’s makeshift camping ground have been swept clear by Environment and Resources Authority officers, the ERA said in a statement on Wednesday. The camping grounds in the island’s Santa Marija Bay area were damaging Comino’s natural heritage and were “not covered by the required ERA permits,” the regulator said. “All camping related equipment and litter present on the site was dismantled and taken away. Fire-pits were also dismantled,” the ERA said. Officers hauled away tents, poles, crockery, bedding, tanks and sinks, with more than one tonne of material confiscated in total. 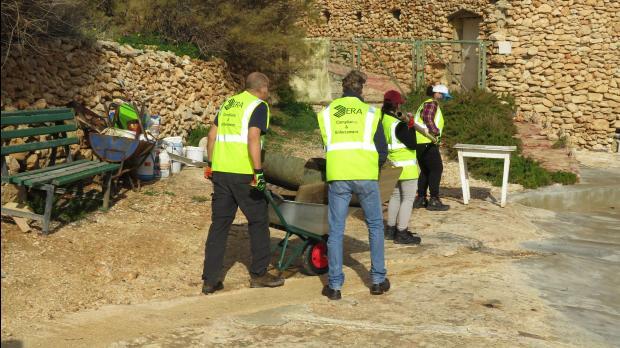 All items were taken to Gozo by licensed waste carriers and disposed of. The ERA had given advanced warning that it would be shutting down the makeshift camping area at the turn of the year, and works started on a licensed 10,000 square metre camping area further inland, in an area of Comino known as Tal-Ful. Items hauled away by the ERA. The site will be managed by new environmental agency Ambjent Malta and is expected to be welcoming campers in May. Last year, Times of Malta reported that the Santa Marija Bay area was gradually morphing into a shanty town, with tents remaining in the area year-round. On Wednesday, the ERA said that officers clearing the site could not identify any particular person responsible for the illegal site. “The halting of camping activities in the Santa Marija Bay area and its eventual reinstatement is in line with the approved management plan for Comino and its surrounding islets,” the ERA added.